A very warm 'hello' to you, lovely blogging friends! 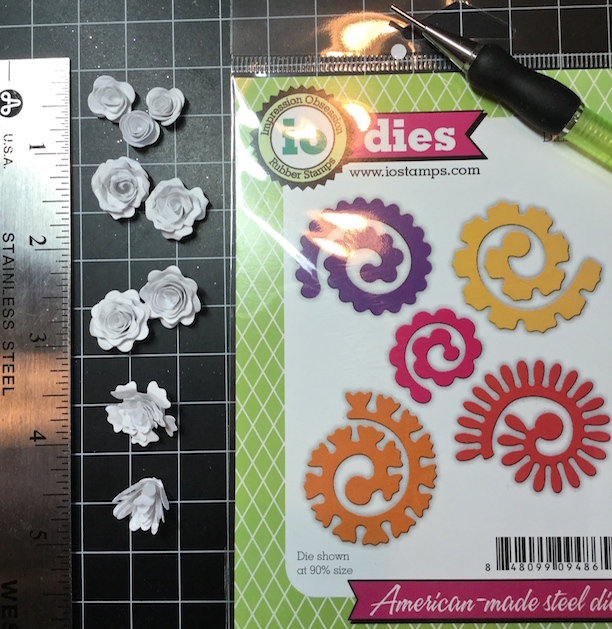 "make it simple or doll-it-up"
I was pleasantly surprised the Calla Oval Wreath and Delicate Flower Frame not only CUT easily, but popped out of the dies! What a breeze! They may be used separately, or together. 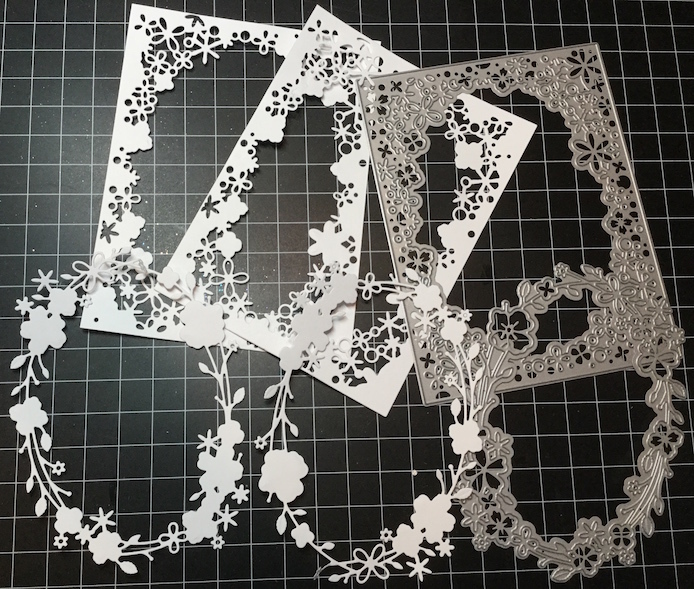 The Delicate Flower Frame (Size A2 U.S.) is shown as a background. 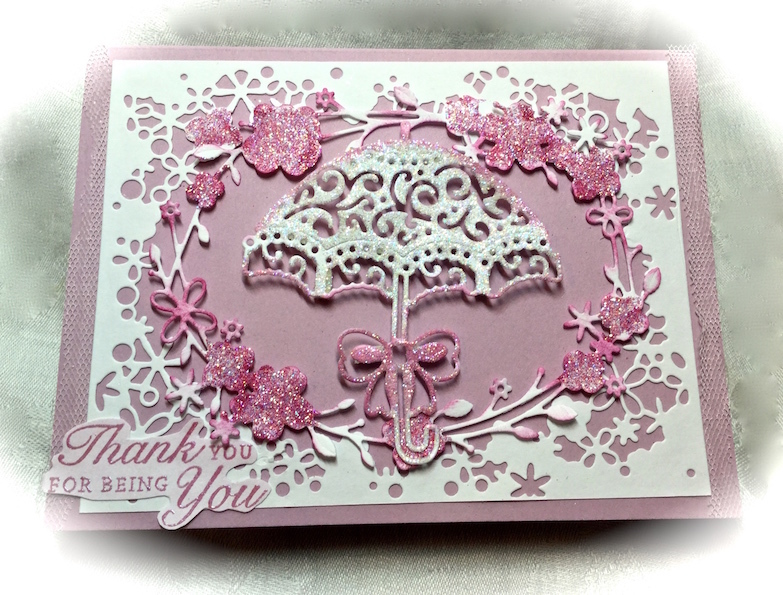 The pink card is simple with 3 dies filling its space. It measures 4" x 6". to showcase the Tattered Lace Curved Parasol. 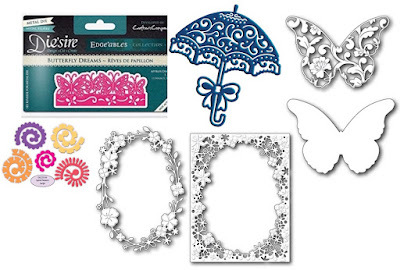 Pop up the Wreath with dimensionals - ink it up if desired - glitter it up, too! Impression Obsessions darling little Spiral Flowers are enchanting! Believe it or not, these are Mitra's LARGE size, I cannot imagine how tiny those must be. I picked up FOUR of Die'Sire's Edge-ables. Wish I had known about them sooner! They are VERY easy to use, and cut with a single pass. They may be used in a number of ways, and are designed to be edges which do not completely cut out the entire image. For complete details about these cards, please visit my blog post. 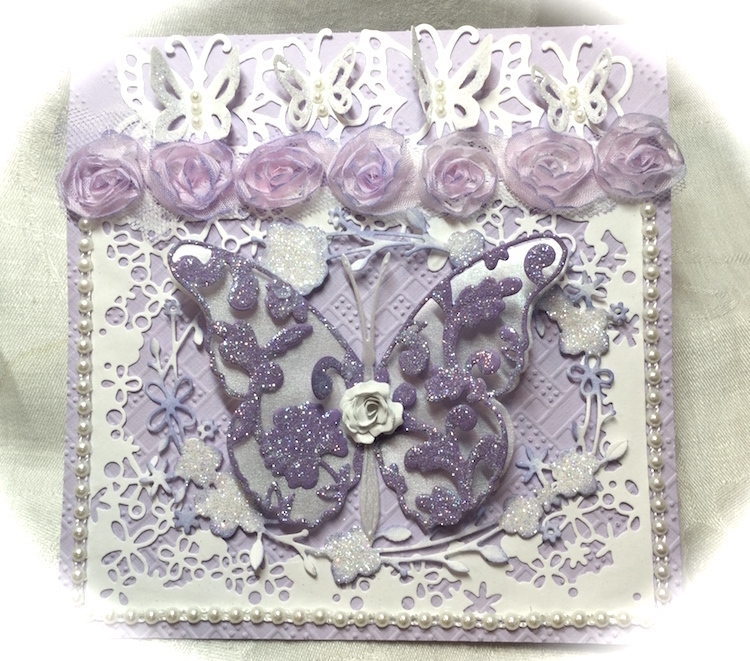 Beautiful cards Donna! Love them both. Fabulous cards Donna, it's amazing how different they can look using the same dies! 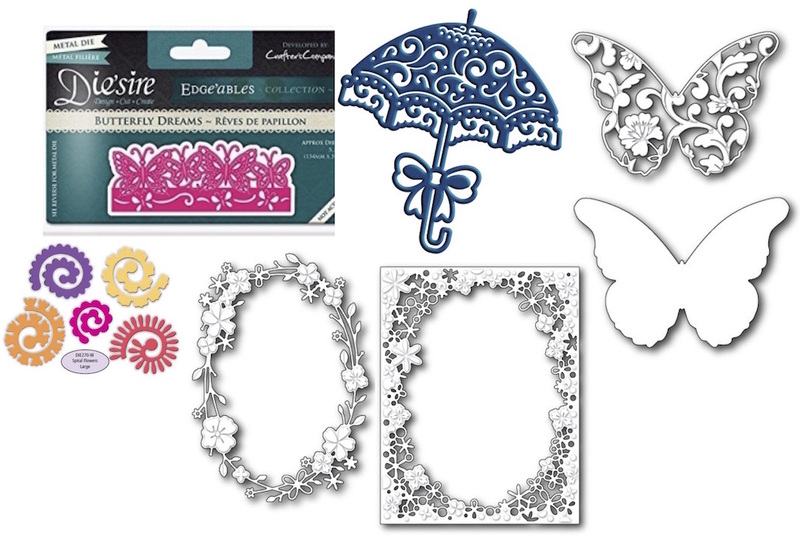 I really love the flower frame and oval wreath dies, so pretty together and compliment one another beautifully. 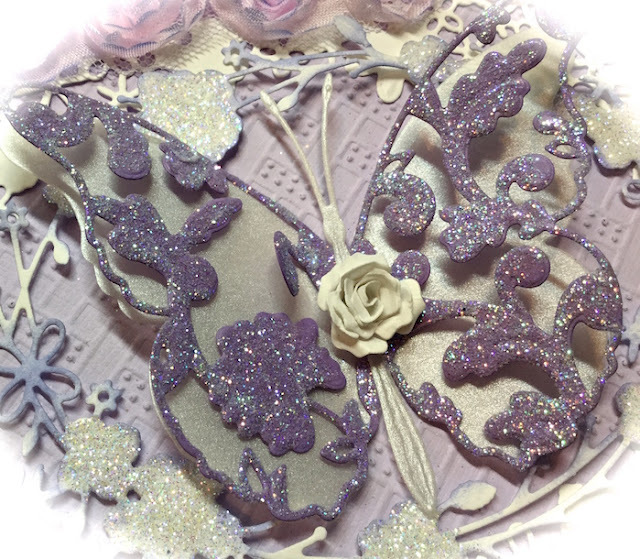 GORGEOUS creations Donna! 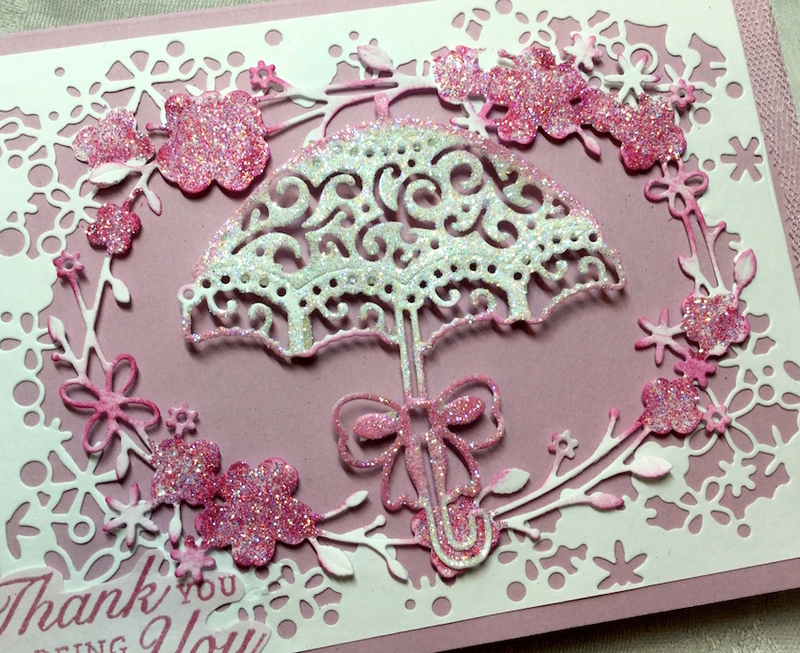 Love all the layers, sparkle and wonderful tips & tricks you have shared with us today! Awesome post ... thanks! STUNNING! (Darlene stole my word lol) I love all of your glittery goodness and how you created 2 different beauties! The layers and dies are fantastic! So pretty....so delicate! WOW!!! 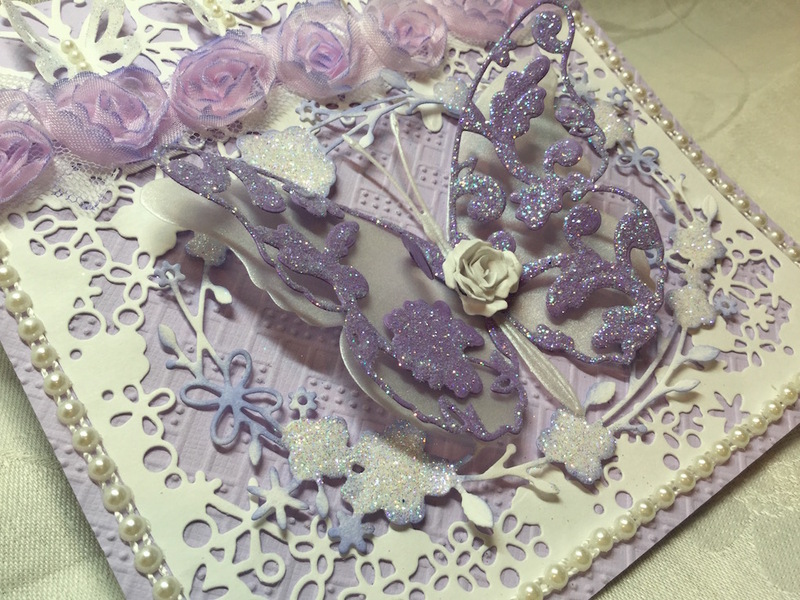 Donna, your creations are always incredible! How do you get your rolled flowers to come out so perfectly? Mine always look like giant spitballs. Can I say that online? Anyway, your cards are incredibly gorgeous!! I wanna come play in your play room! 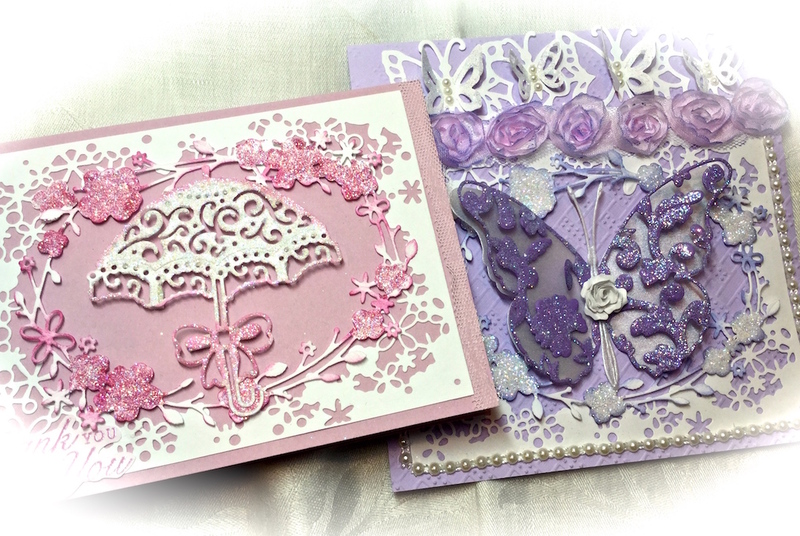 Very soft looking cards with dies that all go so well together. 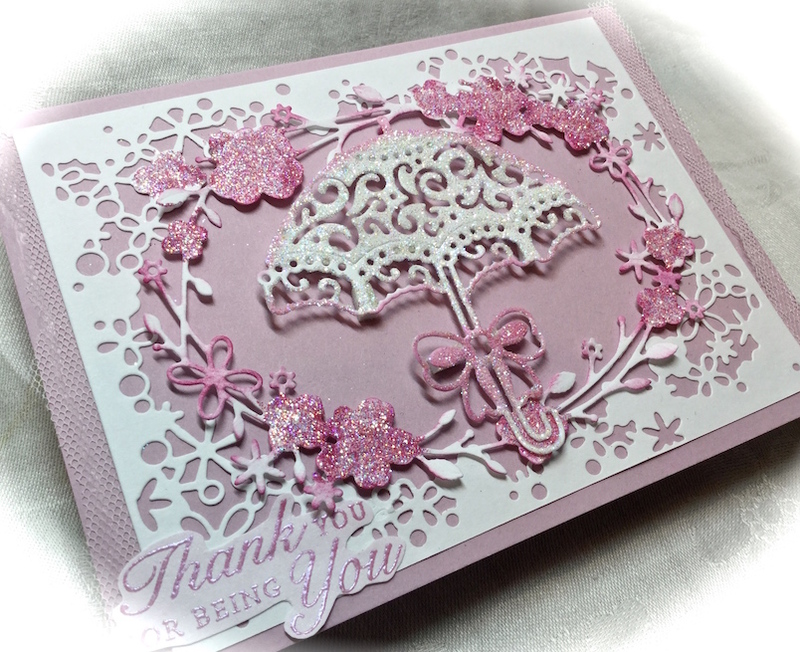 Thanks for sharing your beautiful creations. 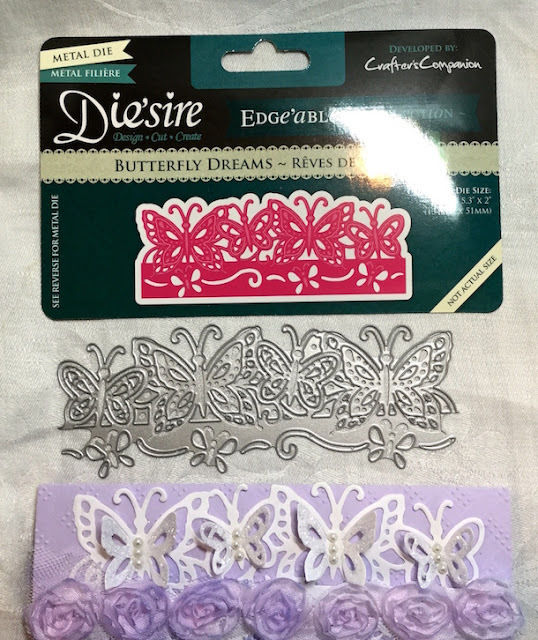 Oh Wow these are both stunning and neither looks simple, such beautiful details in each of these beauties, gorgeous way to show off these terrific dies!! Waoo! both cards are amazing!!! I love the flowersssss, I will like to get the same die. Donna, this take me back to stroll along the Scene in Paris. Love the details and finishing touches on this beauty. 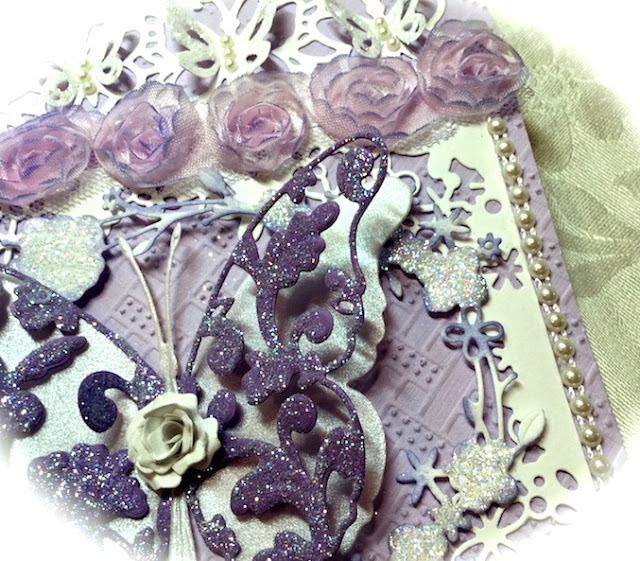 You are the master in creating magnificent dies creations.